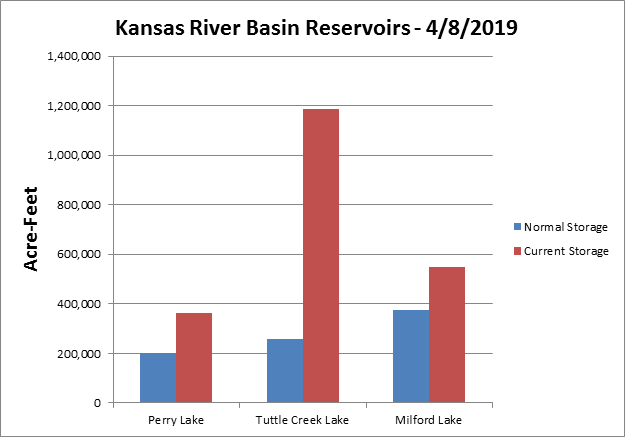 MANHATTAN — Tuttle Creek Lake continues to see a steady rise in water levels, now up to 1,115 feet as of Tuesday. Inflow was measured at 2,500 cubic feet per second with outflow at 160 cubic feet per second. A wet winter and downstream flooding has caused the lake along with nearby Perry and Milford Lakes to be 1.3 million acre-feet occupied (or 40 percent capacity). The total flood storage capacity for the three lakes is 3.2 million acre-feet. Tuttle Creek is retaining the bulk of the excess water. Normal storage for the lake is slightly over 200,000 acre-feet. U.S. Army Corps of Engineers Operation Project Manager Brian McNulty says this week’s weather, especially up north could impact those lake levels in the coming weeks. Flooding continues around Tuttle Creek Lake in nearby campgrounds. McNulty says it’s already pushed back the opening of some of those recreational areas. As for when water can be released, McNulty says that depends on conditions downstream. 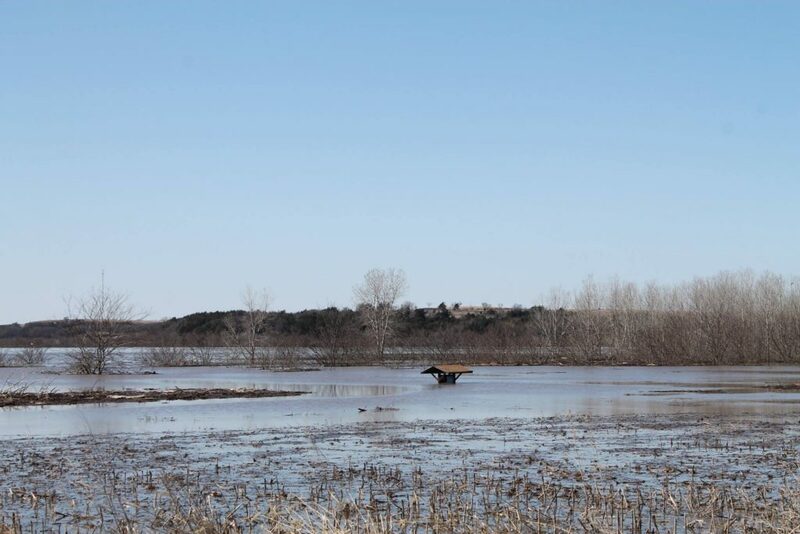 McNulty says the Tuttle Creek Lake is at its third highest level since 1973.